Welcome Baby M to the Strongsville Ohio photographer blog! 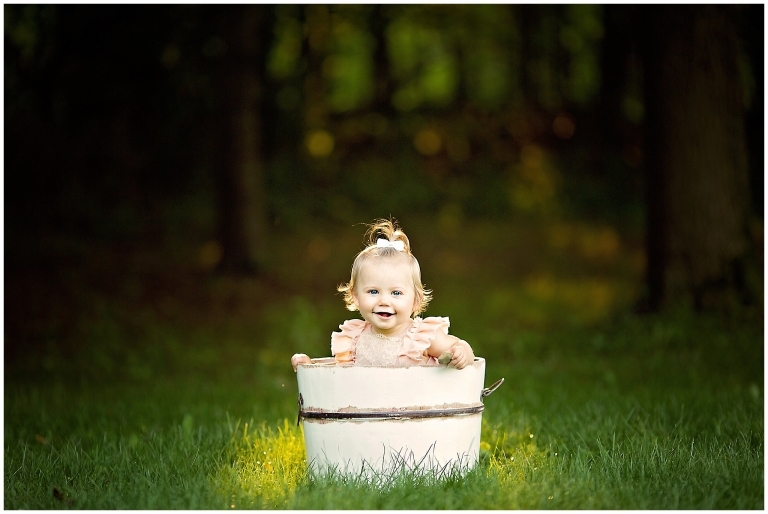 It seems like just yesterday this adorable little lady came for her newborn session! Now she is ONE and almost a big sister! Craziness! Her parents came from Strongsville Ohio for her photography session. We had the perfect summer evening for their session! The golden sunlight was perfect and of course I had the most gorgeous little family! They are just as sweet as they are beautiful, which makes it even better! How sweet are those little leg rolls and that grin?? I love their outfits, so perfectly coordinated! Mom did an amazing job picking them out. If you ever need help deciding on what to wear for your family’s photography session, have no fear, I can walk you through it right here. Mom found her sun dress at Target (who doesn’t LOVE Target? I know I sure do!) and then found pieces to go with her dress. 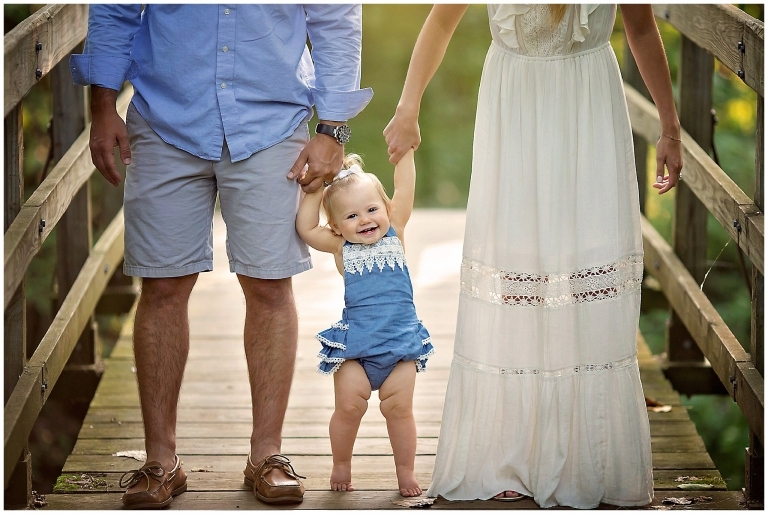 Baby M’s romper is so adorable, it shows off those baby legs perfectly! Oh I could just eat her up! Momma and baby photos are so special to me! If you do not take them for yourself, take the photograph for your child. They will love having these in years to come. Doesn’t it melt you heart? Honestly, they are so perfect it isn’t even fair! They are equally as nice as they are beautiful! They really are a great family! Thank you so much for stopping by the blog! 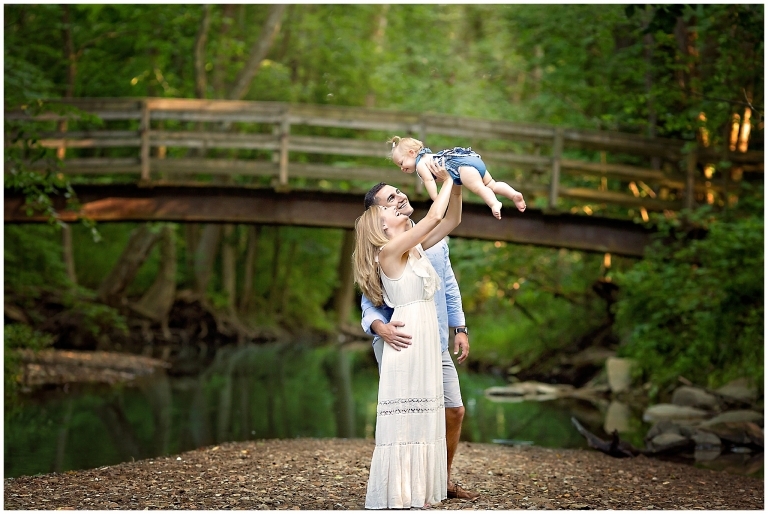 Are you looking for a Strongsville Ohio photographer? I would love to talk with you today! Bump to baby photography is my speciality and I service all of Northeast Ohio. From Cleveland to Akron and anywhere in between, I want to be your go to girl!